Sugar cravings can be a difficult thing to conquer. We all know it is important to decrease sugar in our diets, but sometimes we need tips to help us successfully deal with the cravings. Even though I am a nutritionist, even though I have the knowledge, even though I know what is good for me - sugar, sweets, and desserts creep into my diet. And no amount of knowledge can fight those cravings. That is when I do 4 things that always help cut those cravings and get me on the right track. 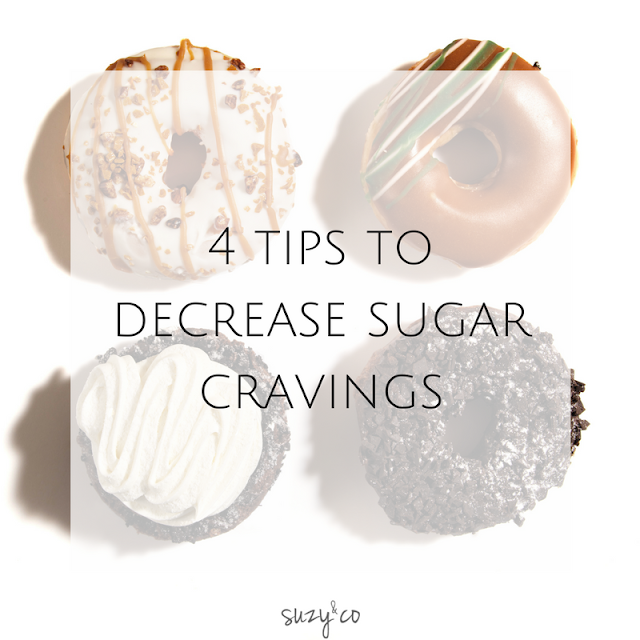 Here are my 4 tips for fighting sugar cravings. For more nutrition tips subscribe to the suzy&co newsletter.